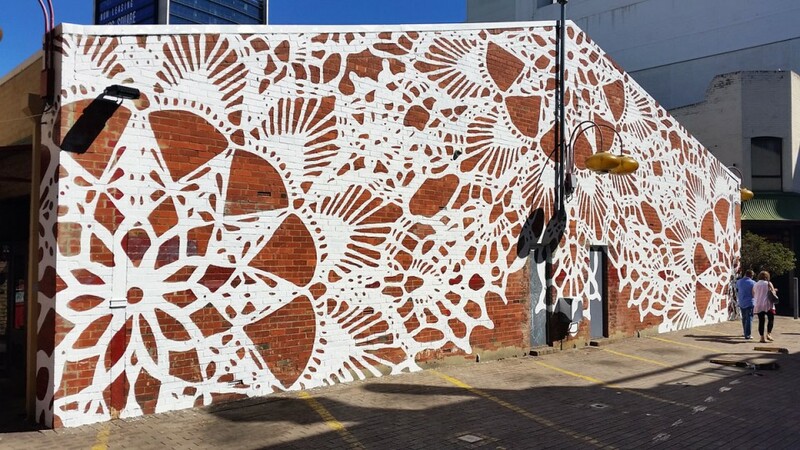 The idea of beautifying an outdoor space seems straightforward enough – flowers and sculptures and whatnot – but Polish street artist NeSpoon turns that idea into something so beautifully different that it transforms the ordinary into the spectacular. 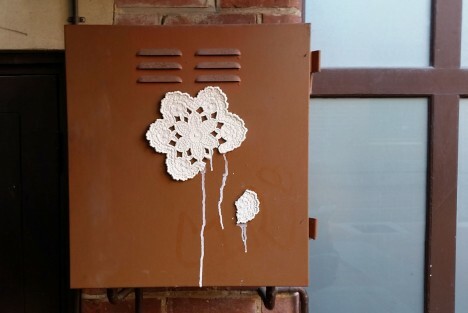 Working in paint, crochet, and carving, NeSpoon gives dingy and uncared-for urban surfaces new life by adorning them with what she calls “public jewelry.” Her pieces are inspired by lace, often taking on the shapes of enormous doilies painted on the sides of exterior walls. 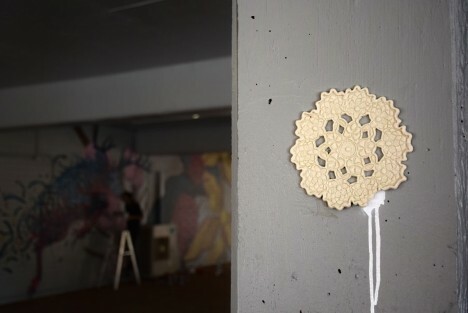 Other lace-inspired pieces are crocheted into or onto various rough objects to create an extreme visual dichotomy. 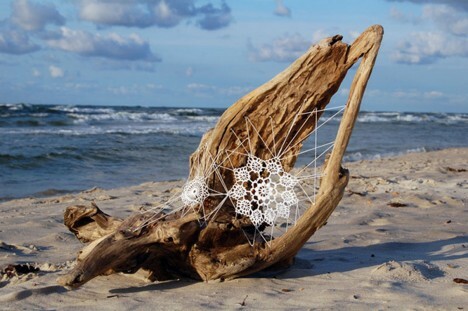 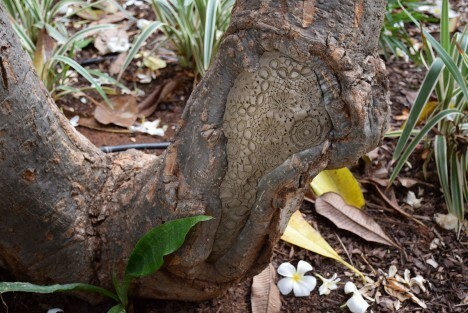 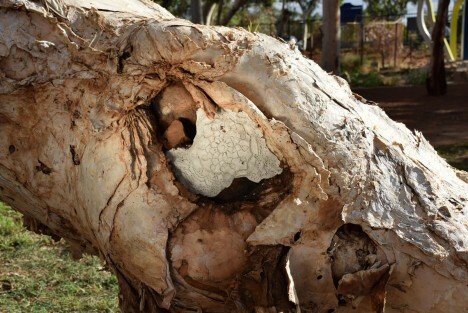 Some pieces are carved into wood or clay, the intricate patterns looking like entire universes. 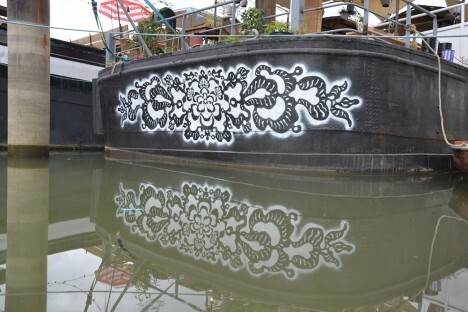 And then there are the truly random pieces painted onto pieces of concrete or the sides of moored boats. 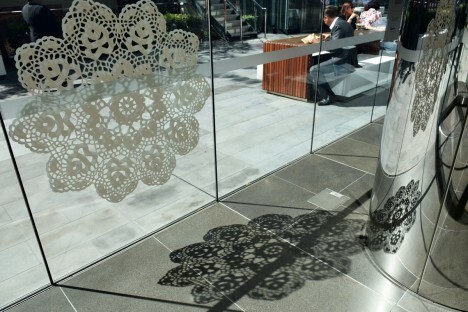 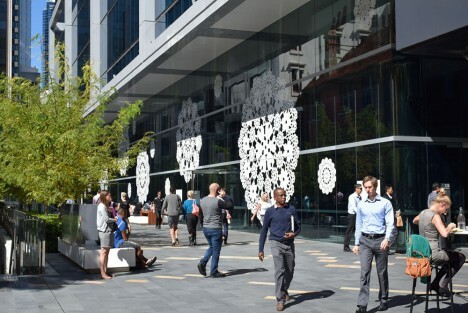 For many of the pieces, NeSpoon has permission to apply her particular type of artwork on buildings or other public spaces. 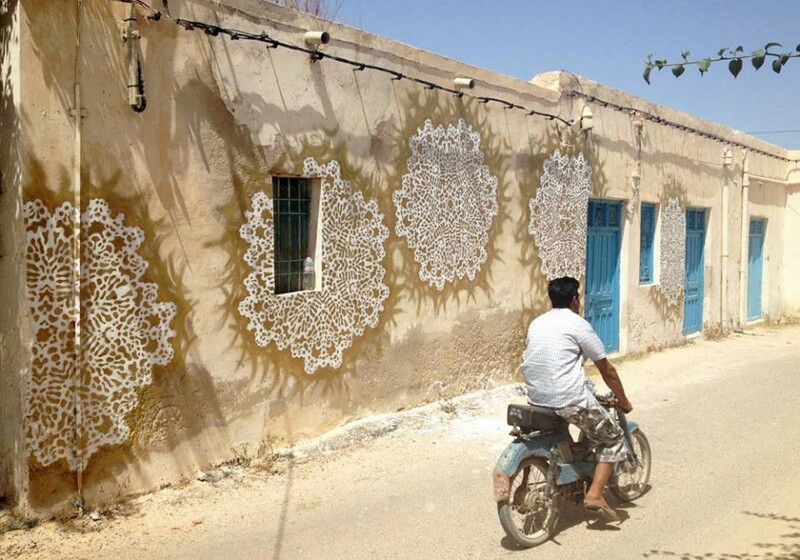 But some are true urban interventions, appearing in unexpected spaces to provide onlookers with a little bit of beauty and whimsy to brighten their day.